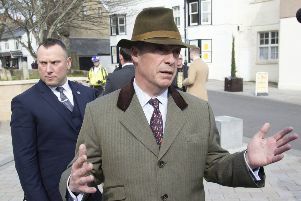 After becoming the main contender to the Tories in the last West Sussex County Council elections, UKIP looks set to strengthen its position as the main party of opposition in many rural seats. It will be an echo of UKIP’s growing success in last year’s European elections, especially in the South East. As the Tories appear set to strengthen their grip on Sussex in general election Exit Polls, rumours at Sussex counts suggested a strong showing for UKIP - but not enough to take any seats. No counts have yet - 2.48am - been concluded or announced. The Lib Dems appear the biggest losers of the night in rural Sussex, having traditionally been a main challenger to the Tories - they appear especially vulnerable in Lewes and Eastbourne - and Labour appear to have failed to break through in the key target seats of Hastings and Crawley.